This small country on the banks of Lake Victoria was the scene of one of the most gruesome genocides in modern time. 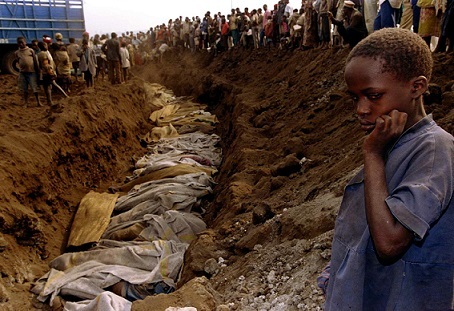 For one hundred days in 1994, hell had effectively descended on defenseless Tutsi, as Hutu—the largest of the two main ethnic groups of the country—went on a rampage, killing over 800,000 people. All this happened under the eye of the International Community, and especially under the watchful eyes of French forces stationed there. The carnage ultimately stopped when the Rwandan Patriotic Front (RPF) defeated the genocidal government and rolled into the capital city Kigali. France was accused of instigating the genocide. Although France denied it, but the French could not explain why they provided cover for the fleeing fascists and looked the other way as they set up a temporary post on the southern city of Butare while the killing continued. What a cruel world!